New Delhi: The Institute of Chartered Accountants of India (ICAI) celebrated its Platinum Jubilee Annual Function on February 4, 2019 at New Delhi. 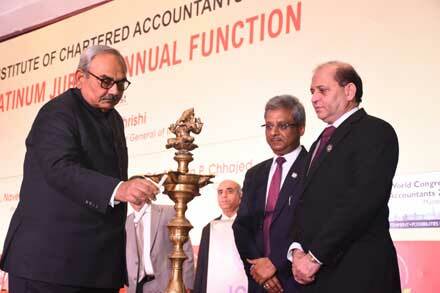 The function was inaugurated by Shri Rajiv Mehrishi, Hon’ble Comptroller & Auditor General of India in the presence of CA. Naveen N.D. Gupta President, CA. Prafulla P. Chhajed, Vice-President and Central and Regional Council Members, ICAI.